What's the difference between Human Media and regular Social Media? Why do Brands need to become Broadcasters? Check out my chat with +Mia Voss about the value of human relationships. 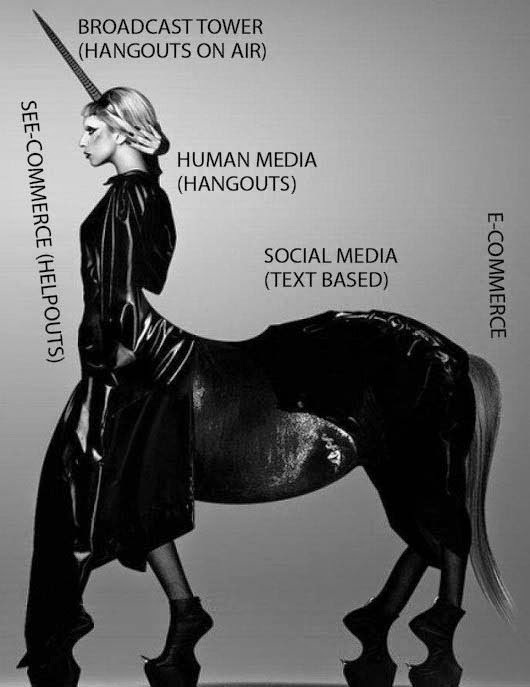 Here's the new animal that is social media + e-commerce + broadcasting. 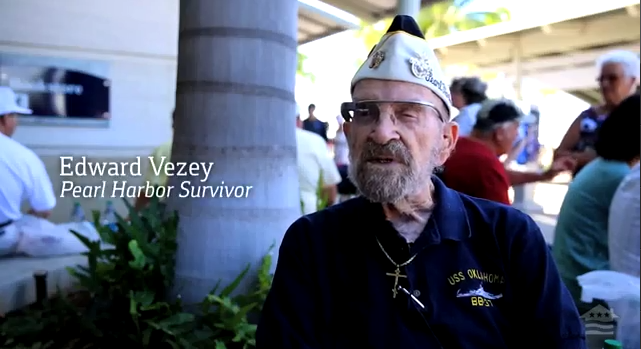 For more information on how we're using Human Media to connect with veterans, please visit https://plus.google.com/+VeteransUnited/. How are you using Hangouts? Leave your answers in the comments section below. Considering a treadmill desk but not sure if you'd be able to type and walk at the same time? I'm into week three on "Ed the Tread", the nickname for my rubber hamster wheel. I've already logged + 125 miles and feel like my 43 year old legs are stronger. However, the biggest impact of walking an average of 4 hours a day on a tread desk has been on my sleep. I sleep more soundly. 1. Consider making a homemade desk before you purchase a prefabricated one. I made my desk with scrap shelving elevated with two peach cans. 2. Watch this video via Google Glass that simulates what it feels like to type on a treadmill desk. 3. Commit to keep it slow, under 2 mph, and you won't bounce your fingers on the keyboard or sweat through your work clothes. 4. Give other co-workers a heads up that they can use your desk while at lunch. Their tolerance for the occasional beep or low hum of the treadmill will increase if they're also allowed to use it as well. 5. Invest in 100% silicone treadmill lubricant. Since it will be used more frequently than the average treadmill, you'll want to make sure you spray underneath the belt every few months so the lubricant doesn't dry out. 6. Get a pair of athletic shoes and socks and keep them at the office. Trust me one day, you'll forget to bring them and then you'll have to walk on the treadmill in heels. Been there. But if you're into the new craze of "high heeled workouts" on the treadmill, you might try strapping on a pair of stilettos to work your calves. Hey, it works for Cameron Diaz! 7. Log your miles. The number of miles you will have traveled in a week will amaze you. 8. Don't walk all day on your tread desk. Swap with a co-worker's sitting desk or have a sitting desk in your office where you work for part of the day. If a co-worker comes to conference with you, ask if they'd like to walk and talk on your tread desk while you sit. Have more tips you'd like to share about your experience with a tread desk? I'd love to hear about it in the comments below. Have fun #warking!